The wire China 2018 will take place from September 26 to 29, 2018, in Shanghai and again, SIKORA will present innovative measuring, control, inspection, sorting, and analysis systems from its comprehensive product portfolio. On the exhibition booth visitors can discover the most recent technological innovations for quality control and process optimization for the wire and cable, optical fiber as well as plastics industries. Worldwide, users of SIKORA devices benefit from an increasing quality, optimized processes and efficiency of the manufacturing process. Modern Laser and X-ray technologies measure precisely and reliably product parameters such as diameter, ovality, wall thickness, and concentricity. In addition, SIKORA presents spark testers for the detection of insulation faults, lump detectors for the detection of faults on the product surface, capacity measuring systems as well as devices for reliable conductor preheating and temperature measurement and control. A highlight on the SIKORA booth will be the newly launched X-RAY 8000 ADVANCED. With the X-ray based system, SIKORA introduces state-of-the-art High Speed Technology (HST) that is tailored to the demands of MV, HV and EHV cable production. It represents an advanced alternative to the successful and established X-RAY 8000 NXT. The system is equipped with 16 measuring sensors and measures the diameter, wall thickness and eccentricity of cables in CV lines up to 10 faster than the X-RAY 8000 NXT, and thus, is predestined for an even more efficient control and information transparency in terms of Industry 4.0. 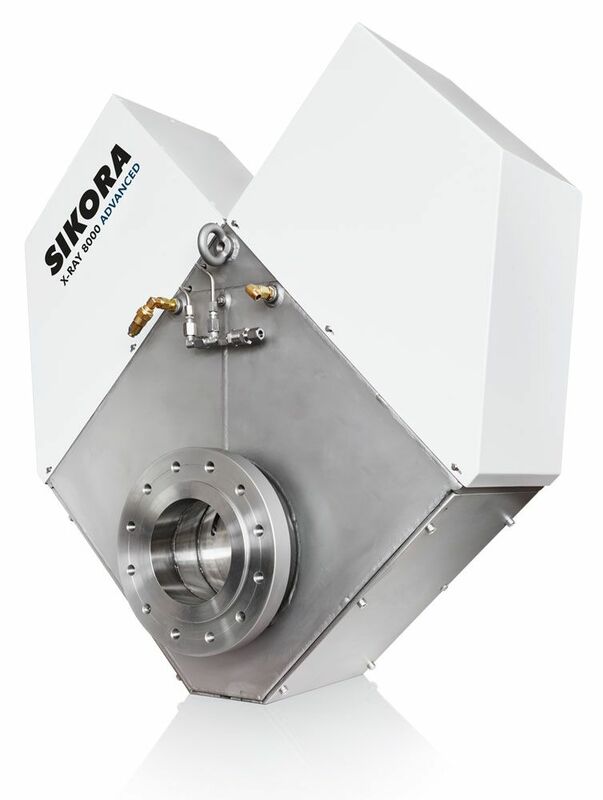 SIKORA also showcases live in a drawing tower model, its broad portfolio of measuring systems for quality control of optical fibers at different positions. There will be systems presented for the measurement of the diameter and the position of the naked and coated fiber as well for the determination of the tension. Furthermore, gauge heads are displayed for measuring the fiber temperature at the hot and cold end of the drawing process to either control the furnace or to dose the Helium used for the cooling respectively, and therefore, to save costs. In addition, a gauge head for the evaluation of the concentricity of the coating as well as for the detection of lumps on the surface of the coated fiber will be exhibited. In the area of plastics SIKORA shows in China the PURITY SCANNER for online inspection and sorting of plastic pellets that are used for the insulation of MV, HV and EHV cables as well as onshore and offshore cables. The unique combination of an X-ray camera with an optical camera system is currently the only technology that reliably detects contamination inside of plastic pellets as well as on their surface. Contaminated pellets are automatically sorted out.